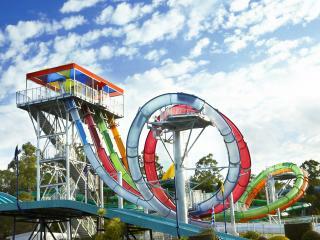 One of Australia's best water parks, Wet n Wild Water World offers a splashtacularly fun day out for the whole family. 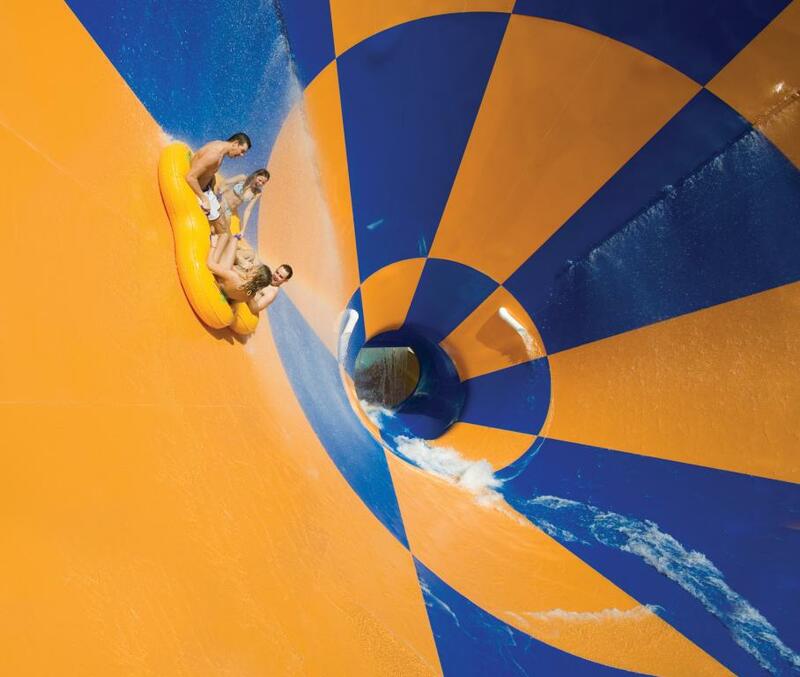 This water theme park offers everything from dedicated children's rides to relaxing adult areas and plenty of thrilling rides and slides. 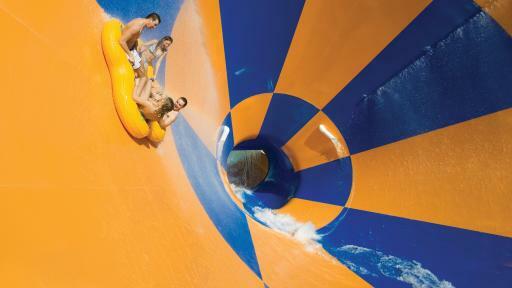 The Whirlpool sends you speeding and swirling through rapids while Mammoth Falls offers the biggest water attraction in Australia. 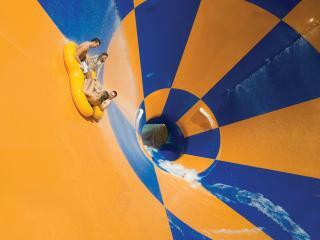 There's even a wet rollercoaster that sends you hurtling 30m on a giant surfboard and a Giant Wave Pool. 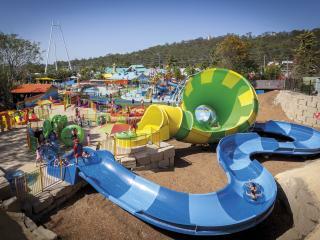 Calypso Beach is a great place to catch your breath and relax while kids under 10 can enjoy the fantasy water playground of Wet n Wild Junior. 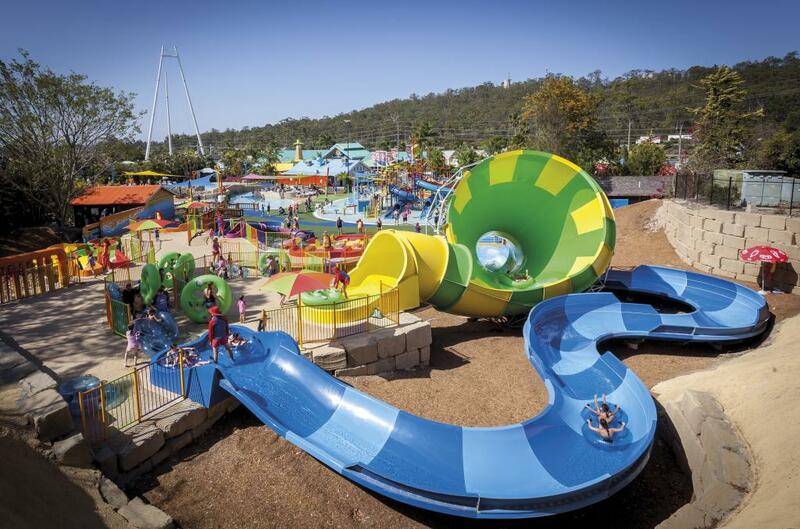 Patrolled by lifeguards, the pools and slides are heated during the cooler months ensuring you can enjoy it all year round. 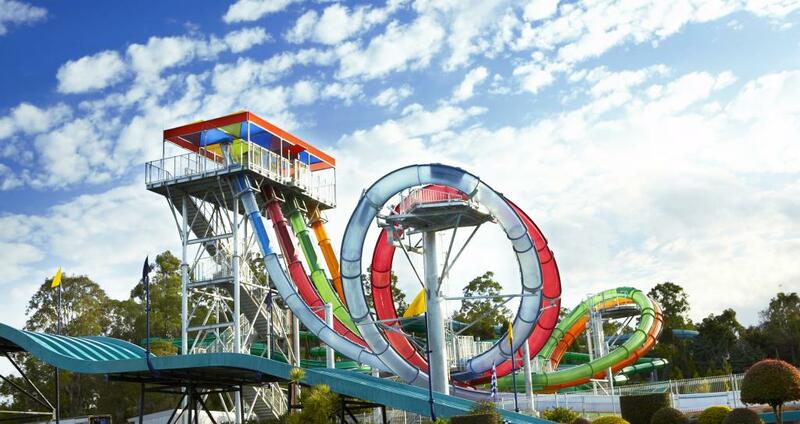 Now for even better value you can enter the major theme parks on the Gold Coast with one of the Gold Coast Theme Park Passes. 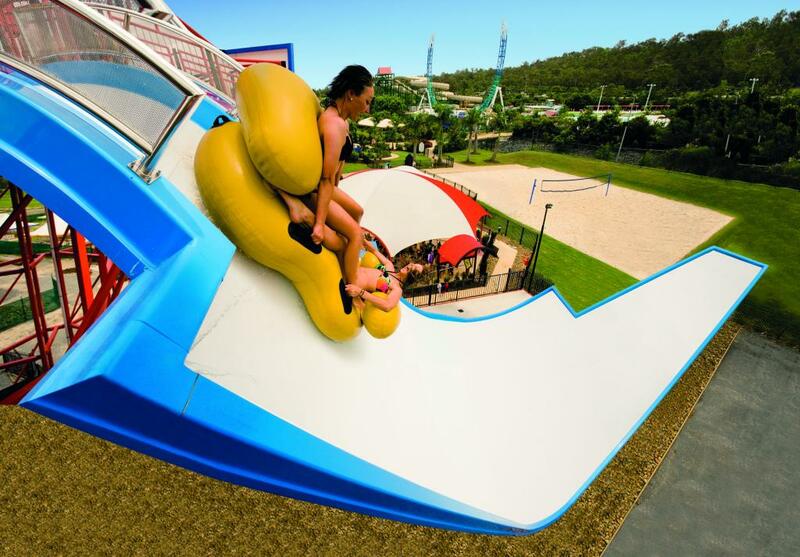 Enjoy great flexibility and spend one or more days depending on the type of pass you select at Wet 'n' Wild, Warner Brothers Movie World and Sea World! Closed Christmas Day, 25 December and ANZAC Day, Australia's national day of remembrance on 25 April. 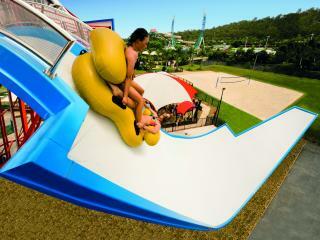 Pools: All pools and slides are heated during the cooler months of the year (April through to September). Important note: Tickets are non-refundable. Show schedules are subject to change, delay or cancellation due to inclement weather, scheduled maintenance, refurbishment, or other operational reasons. Address: Pacific Highway, Oxenford (exit is clearly signed). 20 minutes north of Surfers Paradise, 45 Minutes south of Brisbane.